You claim to be the biggest Bulls fan around, and now there is a hat to display that! 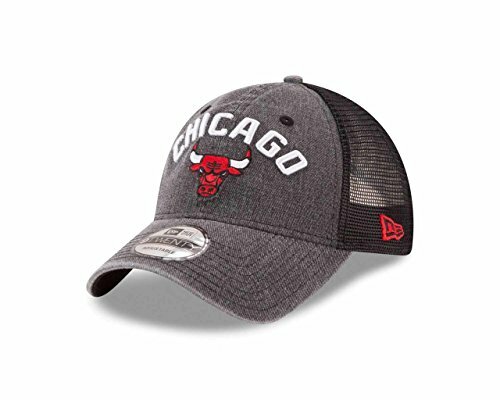 The Chicago Bulls Adult NBA Rugged Adjustable Trucker Hat from New Era is bound to be your newest favorite accessory! This trucker hat features official team colors and names, a distressed cotton front, a trucker mesh back, and embroidered team logo and team name on the front. The snapback closure ensures maximum comfort and quality fit for numerous head sizes! Next time you head to the big game, make sure everyone knows what team you support! Great for yourself or any basketball fan in your life, cheer on your squad all year long and get this snapback today!